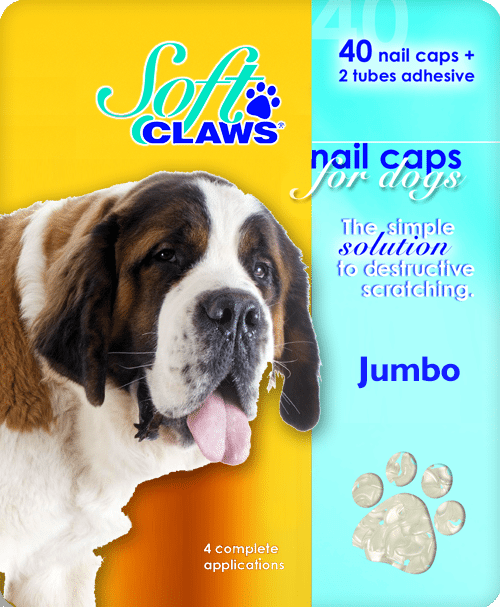 Jumbo. 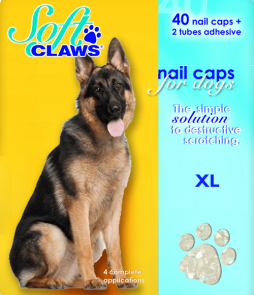 The Jumbo size generally fits dogs of 70 pounds and above. 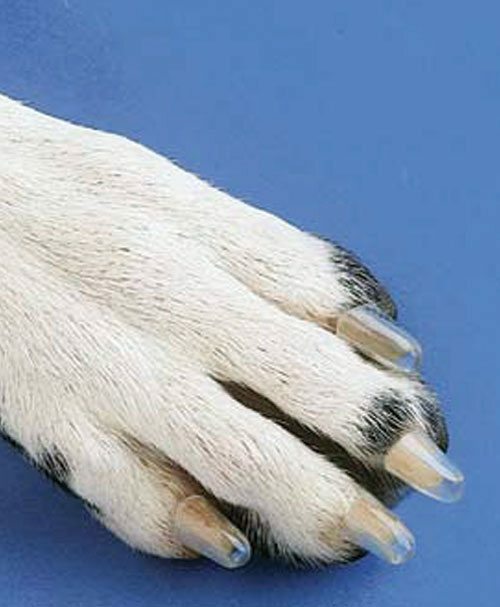 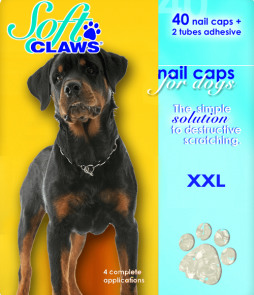 Solve Your Dog Scratching Problems Using Original, Authentic, Soft Claws—Made in the U.S.A. 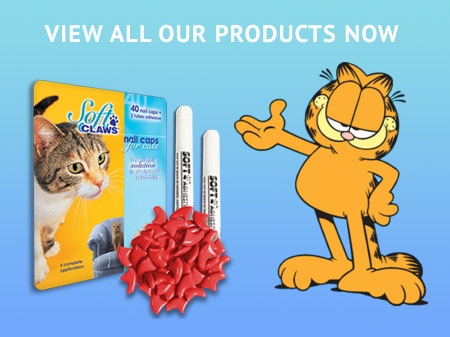 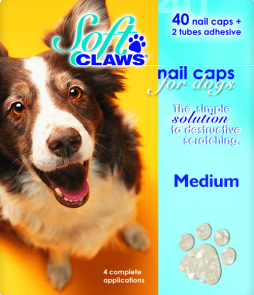 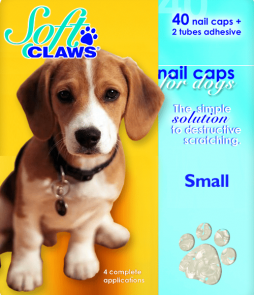 Developed by a veterinarian, Soft Claws nail caps are made in the USA using non-toxic vinyl. 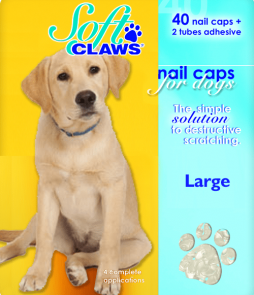 The nail caps are applied to your dog’s nails using a non-toxic, cold-bonding, veterinary-grade adhesive, and are a completely safe and humane solution to dog scratching problems.